The members of Ceylon Fishery Harbours Cooperation made a cash donation for 'Api Wenuwen Api' Fund for the benefit of our war heroes. The cheque worth of Rs 13 300/= was handed over to the Mr. S. Hettiarchchi, the Additional Secretary of the Ministry of Defence by Maj NTC De Zoysa, the Manager Security-CFHC in a charm function held at the Defence Ministry premises on July 21. Members of the Sri Lankan community in the Washington, D.C. area raised thousands of dollars Saturday (July 18), for a housing program that will help members of Sri Lanka's armed forces buy homes. The July 18 event occurred simultaneously at the homes of Ambassador Jaliya Wickramasuriya and five diplomats assigned to the Embassy of Sri Lanka in Washington, D.C. The diplomats invited local Sri Lankans to their homes to enjoy traditional food and learn about the Ministry of Defense's Api Wenuwen Api Ranaviru Housing Project Fund. Mr. Gotabaya Rajapaksa, Sri Lanka's Secretary of Defence, spoke to the crowded house parties simultaneously via a Webex internet link. He also answered questions from guests about the housing program and the successful conclusion of the nearly 26-year-long conflict with the Liberation Tigers of Tamil Eelam. "Because of all their hard work, it's very important to meet their every need," Defence Secretary Rajapaksa said of the armed forces members. "We need to remember the people who have lost their lives for the sake of the country." Defence Secretary Mr. Rajapaksa thanked those who contributed to the housing project and said that more homes were under construction for, "our war heroes." The program also helps families of soldiers killed in the conflict. He added that schools with gymnasiums, auditoriums and computer labs were under construction in the villages of returning soldiers. The Api Wenuwen Api fund, he said, is the backbone of that effort. The funds are needed because members of the armed forces have difficulty buying homes without a guarantor. Banks do not want to risk backing defense personnel, whose lives are considered vulnerable. The Api Wenuwen Api Ranaviru Housing Project Fund takes on the responsibility as the guarantor, and will contribute 1/3 (about US $6000) of the expense of constructing each house. This fund is not controlled by the government, but by a Board of Trustees formed under a Parliamentary Act. This board consists of distinguished persons under the Ministry of Defence. Following Defense Secretary Rajapaksa's talk, participants generously wrote checks and signed pledge cards. The total amount of money raised for the Api Wenuwen Api fund throughout the U.S. in 2009 now stands at more than $200,000. Ambassador Wickramasuriya called the evening's events the, "perfect private-public partnership. Now that we have done this, others will be able to do it on their own, raising even more money for homes for soldiers and their families." The Ambassador said that it was possible to raise $1 million a year to fund the construction of 50,000 new houses in Sri Lanka. He said Sir Lankans in the U.S. will also hold events at their homes to support the Api Wenuwen Api program. In some cases, generous donors contributed enough to pay for a whole house. Others teamed together to pay for one house. The Ansell Lanka (Pvt) Ltd of Biyagama Export Processing Zone has made donation to strength the 'Api Wenuwen Api' housing fund on 13th of of July. 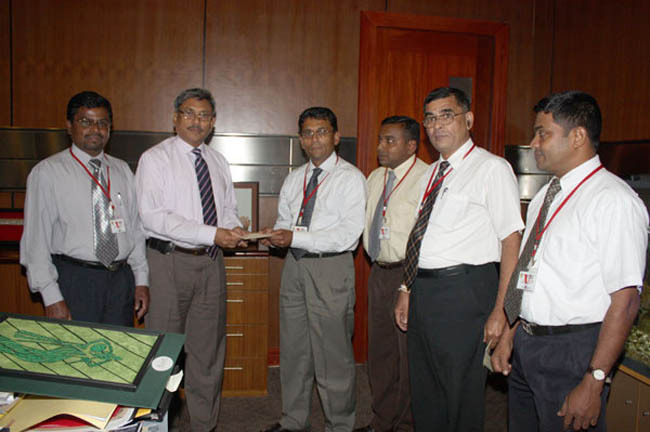 General Manager of Ansell Lanka (Pvt) Ltd Mr Rajitha Kariyawasam along with his staff's contribution, handed over a cheque worth of 650,000.00 rupees to Secretary of Defence Mr. Gotabaya Rajapaksa at ministry premises. Manufacturing Manager of Ansell Lanka (Pvt) Ltd Mr. I.L.M. Hamthoon, HR Manager Mr. Sarath Kumara representing all staff of Ansell Lanka (Pvt) Ltd Mr. G.D.S. Senevirathne and W.A.D. Jayalath also participated at occasion. 'Api Wenuwen Api' housing fund was initiated to build 50000 housing units for the armed personnel contributed for bringing the peace, making the end of three decade long war against terrorism. 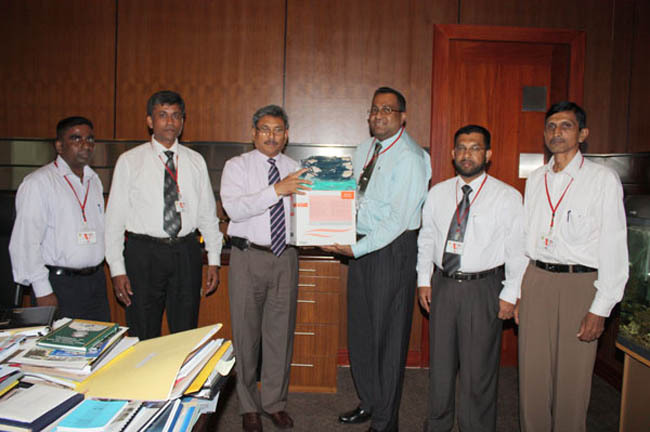 Further, the Ansell Lanka Pvt Ltd donated consignment of surgical gloves worth of 2 Million rupees to the Sri Lanka Army. Marking the donation a box of surgical gloves was also handed over to Secretary Defence at the same occasion. Showing the gesture on security forces liberated whole country defeating terrorism, Sri Lankan For Peace, new England in USA made contribution to 'Api Wenuwen Api' housing fund on 13th of July. The representative of the Sri Lankan for peace in USA said that fund was collected from the patriotic Sri Lankans living there. The donation worth of US$ 5050 was handed over to Secretary Defence by the representatives of the organization Mr. Rohan Fernando and Sujeewa de Silva in a charm function held at the Ministry premises. 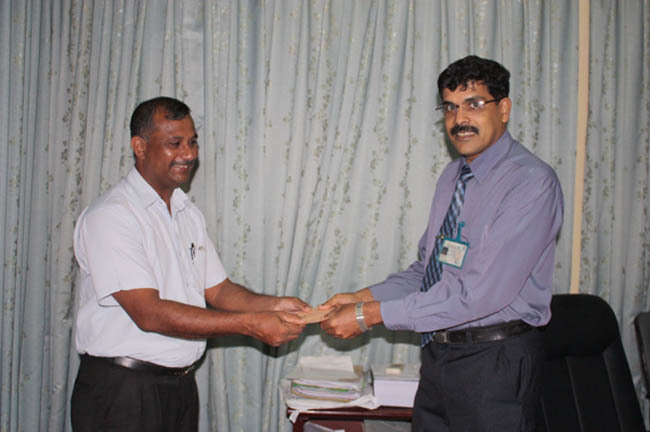 Managing Director of Lionel Radiator Industries Mr. Lionel Munasinghe handed over the cheque worth of 500,000.00 rupees to Secretary Defence Gotabaya Rajapaksa at the Ministry premises. Factory manager Mr. Somasiri Gampola was also present at the occasion. Separately , Managing Director of the Sign-Tech Advertising (Pvt) Ltd. Mr Kasspa Mahendra de Silva handed over the donation worth of 350,000.00 rupees to Secretary Defence at the same function held at the ministry premises. Edmonton Lakviru Fund, establish by the patriotic Sri Lankan in Canada donated 7000$ for the 'Api Wenuwen Api' housing project on 13 July. Representing the member of the fund Mr Liyana Jayathilaka and Mr. Premarathna Herath handed over the donation to secretary Defence in charm function held at the ministry premises this afternoon.